Pay via our PayPal from Bangladesh to any website which accepts PayPal Payment. You can also buy PayPal balance (if you have verified PayPal account) to make your payments yourself. You can withdraw freelancing money from any freelancing websites via our PayPal account. Please do understand that we do not provide any PayPal account. We are helping you to pay via our verified PayPal account. Buy any product from eBay, pay via our PayPal and receive your product at your home anywhere in Bangladesh. You will place order from your own eBay account. We will login to your eBay account and make the payment. Product will be delivered at your home / office address. If there is any customs tax, peon will collect the tax from you on delivery. Godaddy.com is the most popular portal to buy domain - web hosting online. You can buy domain / hosting / vps / ssl / email service / any other service from Godaddy via PaymentBD. The process is very simple. Add items at your Godaddy.com shopping cart and then submit support ticket at our website (after depositing necessary money) with your Godaddy Username / Password. We will make your payment. Pay online to any website which accepts Skrill / Moneybookers payment. You can also buy Skrill Balance from PaymentBD and stay tension free about disputes. If you are a freelancer and you have earned freelancing money at your Skrill account, then you can sell the balance to us. Do you need Neteller dollar? You can buy Neteller balance from our office. If you want to sell neteller money, you can sell easily via our service. Just send money to our Neteller account and then submit support ticket at our website. We will pay you via Bank Transfer / bKash or you can collect cash money from our office. We do not support any betting related website and forex related website. Perfect Money is another popular & safest option to pay online. It is almost risk free comparatively with PayPal, Neteller, Skrill etc. You can buy Perfect Money balance from our office. If you want to sell PerfectMoney, Just send money to our PerfectMoney account and then submit support ticket at our website. We will pay you via Bank Account Transfer / bKash or you can also collect cash money from our Dhaka office / Chittagong Branch. Ali Express is the sister concern of AliBaba.com. If you want to buy cheap items mainly from hong kong / china AliExpress is the one of the best option for Bangladeshi people. Ali Express accept Master Card payment / WebMoney payments. Comparatively WebMoney payment is cheaper. So, start shopping at AliExpress. Place orders and then deposit necessary money and submit support ticket at our website. We will login to your account and make payments for pending orders. Credit Card / Master Card Payments are the number one payment method in whole world. But unfortunately Bangladeshi ATM Card / Debit Cards can not be used internationally / online payments. Which is possible by Some dual currency credit cards but it is really very tough for any Bangladeshi people to get such Credit Cards. If you want to make any online payments via Credit Card / Master Card, then no tension. We are here to help you. Skype.com is the most popular software / website in whle world to make audio call / video calll / chat via internet. You may need to buy credit to make phone call from your skype to any land line / mobile number. You can also buy your own USA / Any Country registered phone number so that people can reach you over that international number. We help Bangladeshi people to buy Skype Credit / Skype Number / Skype Unlimited Subscription via our PayPal from BD. Amazon.com is the most popular website in USA to buy original products. Amazon accepts credit card payments. from Bangladesh, there is no way to buy from amazon using normal ATM / Debit Cards. You must have international Credit Cards. We can help you to buy from Amazon.com. We will provide you Amazon gift cards and you will be able to use that gift cards at Amazon.com to shop yourself. You will place order yourself, products will also be delivered at your address in Bangladesh. You can buy Payza balance from us. We can also help to make online payments via Payza to any website. Just deposit necessary money and then submit support ticket at our website, we will make your payment. We are not buying Payza balance at this moment. If you have your own Payoneer card and need balance to make any payment yourself, You can buy Payoneer balance from Payment BD. On the other hand, if you are a freelancer and have balance in your Payoneer account, you can sell your Payoneer dollar to us. We will pay you via Bank Account Transfer / bKash or you can also collect cash from our Dhaka / Chittagong office. Now a days WebMoney (WMZ) is another secured way to make payments online. Several websites are accepting WebMoney Payments. In fact AliExpress.com (Sister Concern of AliBaba.com) also accept WebMoney payment. So, if you need to pay online via WebMoney or you want to buy WebMoney balance, Just deposit money at our bank account / bKash / cash at office and then submit support ticket at our website, we will make your payment via our WebMoney account. You can also sell your WMZ dollar. Whois.Net is another popular Domain Name / Web Hosting Portal in the world. You can buy Domain / Hosting / Reseller Domain / Reseller Hosting / Server / SSL / VPS / VPN /etc from Whois.net. You will deposit necessary money at our Bank Account / bKash / DBBL Mobile Banking Account or cash at our office and then submit support ticket at our website with your Whois Username / Password. Then we will login to your account and add credit into your account. Buy iTunes Gift Card from Bangladesh. If you have an apple computer / laptop / mobile / iPhone then you will need iTunes card for various purpose. But unfortuntely it is not possible to buy iTunes gift card from Bangladesh. Even if you have a dual currency credit card, you will not be able to purchase iTunes gift card from apple store. We are here to help you to use iTunes gift cards. Just deposit necessary money at your PaymentBD account at submit support ticket, we will send the scanned copy of iTunes gift card via email address. Host Gator is the most popular Web Hosting Portal in the world. You can buy Web Hosting / Cloud Hosting / Reseller Hosting / Dedicated Server / VPS / Domain etc from HostGator. Most of the Bangladeshi Web Hosting Companies are reselling HostGators service. If you want to buy from host gator, we will help you. But there is one problem. You must have your own billing account at host gator. We will just login to your billing portal and make payment. We will not be able to create new billing account for you at host gator. AliBaba.com is the most popular website in whole world for Business owners. If you are running export - import business of you are producing any product in your factory then you can boost your business by adding items at AliBaba.com. On the other hand if you want to import any item then you must search at AliBaba.com first for the product at cheap price from reliable sources. We help to pay for AliBaba.com Gold membership subscription via our MasterCard. Previously they accepted PayPal, but recently they are accepting only Master Card payments. Same as Host Monster, Blue Host is the best option for cheap web hosting. You will be able to host unlimited domain / create unlimited email addresses / ftp account under one web hosting account. Their affiliate section is also very good. You can earn a lot of money by promoting their website. Blue Host and Host Monster are sister concerns of same mother company. We can help you to buy any service from BlueHost.com. They accept PayPal payments so, it will be cheaper for you to buy service from Blue Host. 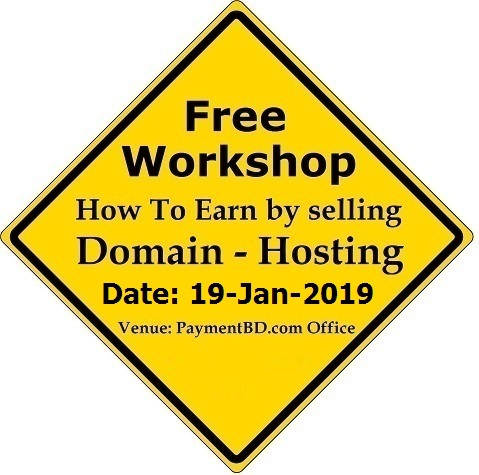 Course Fee: This is complete free workshop, There is no hidden charge. When you will sell dollar to us, then you will get money according to below rates. Earn some extra money by referring clients at PaymentBD. Just share your affiliate link (Login to our website to get your Affiliate Link) and tell people to sign up at our website. If they creates account by clicking on your referral link and pay his subscription fees within our promotional offer period, you will get 10% of the subscription fee. For example, if any people creates a Business account at our website (by clicking on your affiliate link) and pay his yearly subscription fees: 1,000 Taka, then you will get 10% of 1,000 Taka = 100 Taka. The amount will be added to your PaymentBD account within the first week of next month and you can withdraw that money via bKash, Cash, Bank Transfer etc. Or you can also use that balance to make any payment. If you have any website / blog / portal, then you can show the Affiliate link with any text / banner image at your website. 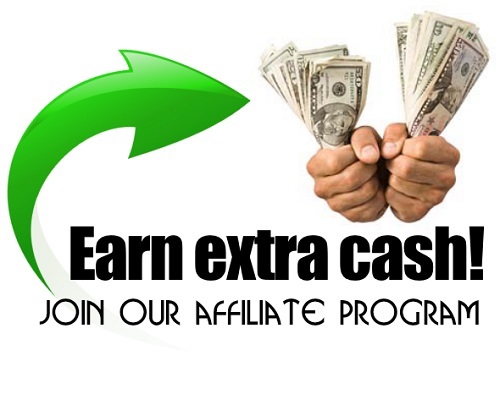 And you have the opportunity to get affiliate money from PaymentBD. ** No employee / staff of PaymentBD is eligible for this income.